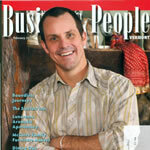 Matt Holmes was recently featured in the February edition of Business People Vermont. The below link will take you to the article and provides a good background to Boundless Journeys and our collection of The World’s Great Adventures. With a diverse collection of locally guided, small group itineraries around the world, Boundless Journeys offers “The World’s Great Adventures.” The adventure trips for 2-16 guests are active, ranging from leisurely cultural explorations and wildlife safaris to challenging trekking in remote regions with plenty of easy to moderate walking and sea kayaking in between. For more information, please call 1-800-941-8010 or visit https://www.boundlessjourneys.com.